Sarah Ryan Hudson teaches kids sailing in Norfolk, VA. 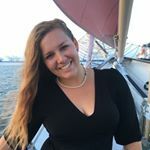 This episode we speak to new You Tube Sailor Sarah Ryan Hudson whose channel, Sincerely, Sarah Ryan is up and running with episodes every week about sailing at Sail Nauticus in Norfolk, Virginia. She teaches sailing to junior high schoolers a few times a week and volunteers time and effort in getting the schooner Virginia up and running. I stumbled upon one of her videos back in April as she attended the Spring edition of the Annapolis Sailboat show. I wanted to chat with her since she is local to the bay, living and working on the water. Someday she hopes to cruise the world and live-aboard, but for now she is just have a blast sailing at Sail Nauticus and getting her You Tube Channel up and running!